Techno maven Ellen Allien prepares to release her first solo EP ‘Take A Stand’ outside her BPitch Control imprint, which will be out on Nonplus Records next month, September 7th. As a DJ, producer, BPitch Control label founder and organizer of the regular We Are Not Alone parties in the city and elsewhere, Ellen Allien was not only there when the techno sound of Berlin was moulded in the basements all over the capital but continues to be a tireless advocate of all aspects of this culture more than ever, as indicated also by her international Vinylismevent series. The EP is a call to action and a love letter to the power of rave culture and the politics of Techno. 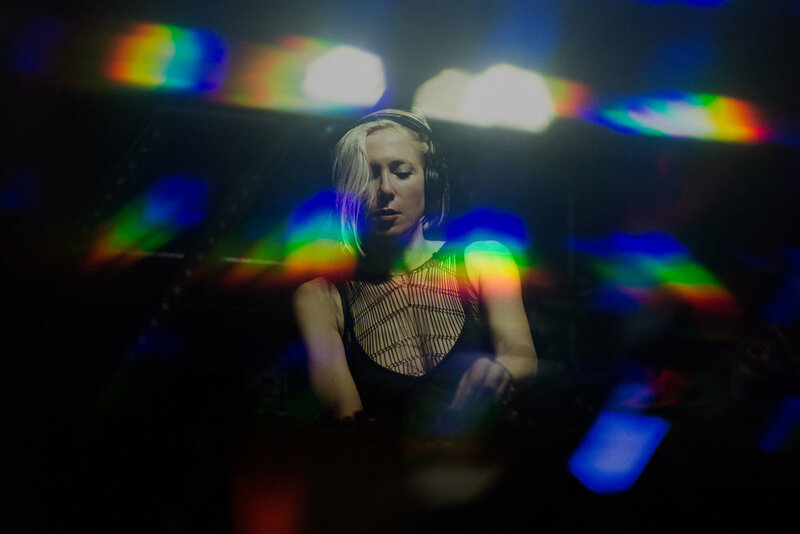 It is as much informed by all those experiences as it is by the relentless hope and passion that have driven Ellen Allien ever since she stepped up to the decks of the infamous Fischlabor in the early 90s. Take A Stand is a three-part statement about (and for) the here and now. "My own history and experiences in the Techno scene inspired me to motivate people to stand up for what they think, for their opinions and rights. A lot of people say that Techno isn’t political, but why not? It can be political of course." - Ellen Allien. The heart-wrenching title track is both bold and defying of what Techno is all about. Starting off as a sparse basement banger, Take A Stand slowly escalates into an acidic anthem before subtly changing its course once more towards the end. Over the course of ten and a half minutes, Ellen Allien revives the cheerful optimism of the original techno revolution while positioning herself against the joylessness inherent to so much techno these days. This is a revolution you can dance to. On the b-side, Trigger will take you on a trip right down to the rabbit hole as it gradually grips your soul to the bone. Combining a hard-hitting groove with a muffled, bouncing acid bassline. The final track on the EP Flying Objects, is dark and unique infused with Ellen Allien's voice, this time to round off what could just well be the official musical manifesto for what she usually refers to "space techno". You can listen to the public snippets of Take A Stand and begin the countdown to the official release of the EP on September 9th. "Protocol Vibes - Miami 2019" EP ft. Nicky Romero, Marco Santoro, Funkybeat & More. Protocol Recordings Unveils Five Fresh New Tracks Ahead of Miami Music Week. Italian trio Agents Of Time realize a longtime dream with the eighth release on their Obscura label. A poetic lyrical new track by duo Tritonal has surfaced the EDM community by storm. It’s New York’s elrow week. Over the years elrow had monumental back-to-back sets that were legendary. Ellen Allien Launches New Label, UFO Inc.